In September 2017 I closed one life chapter and began a new one. 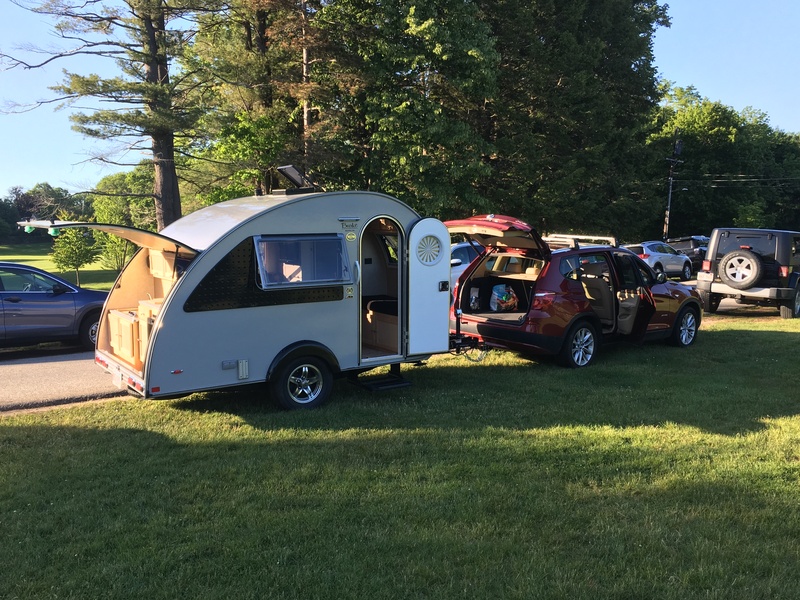 I retired from a 45-year career in public school teaching and administration, sold my house of 35 years in the Boston area, packed up my new tiny camper (James Trailer), and struck out to make a home in Oregon. With new surroundings and more time to devote to things I just feel like doing, I have been making mosaics and volunteering in outdoor settings (Oregon master Naturalist program, Oregon Master Gardeners program–neither of which is meant to imply that I have mastered anything in these areas.) I’m immersing myself in these programs as a way to begin to get my “sense of place” in this oh so very different region I now call home. One project I’ve begun is a mosaic series (disclaimer: right now it’s a series of ONE) on some animals of concern in the region, which are on the “Oregon Conservation Strategy Species” list. This is my first piece–not quite done, but nearly so. Ceramic and glass tesserae, seashell pieces, on found wood. 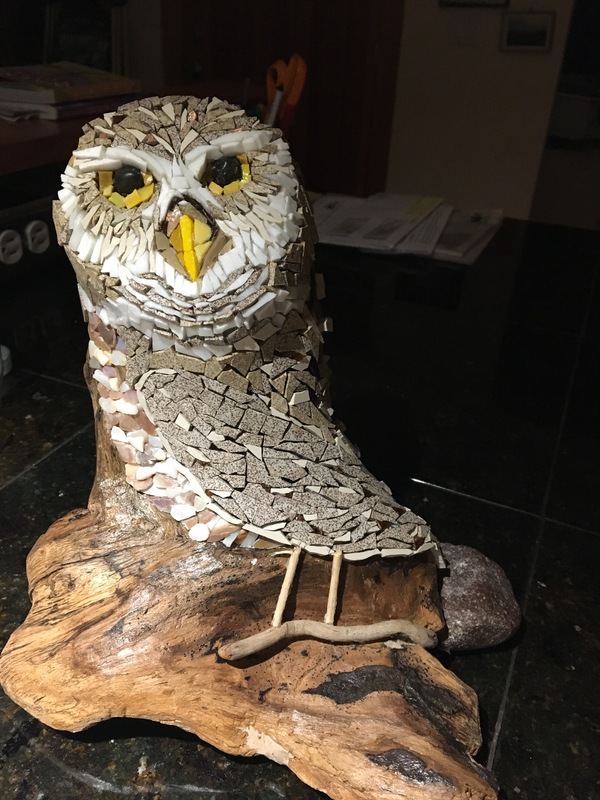 This small owl (10″ long adult weighs only 6oz.) nests in burrows dug by prairie dogs and other burrowing mammals. It winters in the southwest US and Mexico, and migrates north to breed in open range and grasslands in central and western US. It nests in groups, with each nesting pair tending its clutch of 7-10 owlets, leaving only to catch insects and small rodents to feed them, and guarding the door of the burrow avidly. See this adorable video from Oregon Wild of a family unit in action. Its numbers are dropping, probably due to loss of habitat to farms, development, exurban encroachment. A May 2018 article in the NYT told the story of the feral cats being nurtured by Google employees, and their detrimental effect on nearby Burrowing Owl habitat in a wildlife reserve.